Got viewer numbers? I hope so, because their fan interest and merchandising don't seem to be doing so well. If it was gaining momentum, merchandise ought to be flying off the shelves. 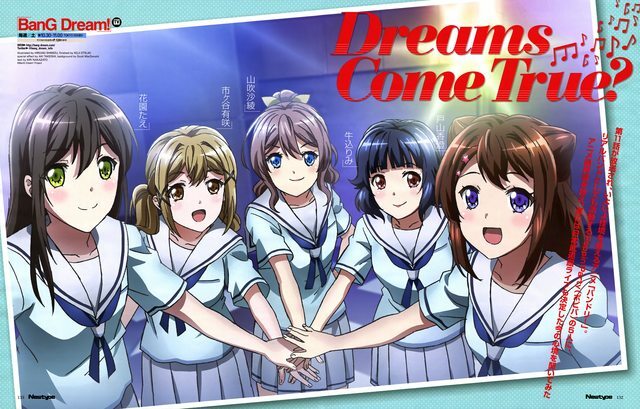 I wonder what it would take for BanG Dream to grab the attention of the mainstream international anime watching community. since the anime seems to be an abject failure on that front (though apparently. it is doing well in Japan). Bang Dream's late start, and relative lack of bells and whistles (compared to Love Live), is what's hurting it the most, in my view. What I mean by "bells and whistles" are elements like bgm quality, visual quality, and in-show live performances. 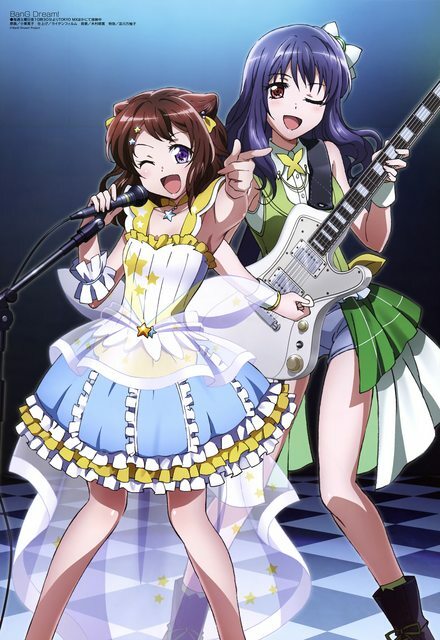 For me, Bang Dream gives me many of the same good/strong emotions that Love Live did, but it doesn't have as much pizazz and sparkle. It's kind of like two well-written superhero movies, but one has better action scenes and more of them, as well as a better movie soundtrack. Beyond that, Jimmy C might be right about Kasumi being too much of an one-girl show. I like Kasumi a lot, but maybe characters like Rimi and O-Tae aren't being given enough breathing room to gain a lot of fans for themselves. 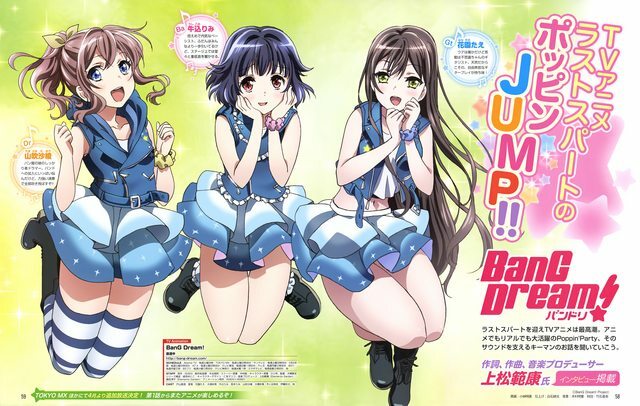 So going forward, Bang Dream really should try to ramp it up on good rock band performances, and also let the full main group shine as a group. Apparently, BanG Dream is the 9th most talked about anime this season on Japanese Twitter. Of course, Tweets don't correspond to BD sales, but it does seem to indicate BanG Dream isn't.... as ignored in Japan compared to outside Japan. Also, the "One-girl show" effect, if it does exist is more likely to have shafted Arisa and Rimmi instead, because they were the first to be recruited. O Tae received two whole episodes, as did Saya. To put things into perspective, LWA doesn't even make it on that list. I'd like to know what they're talking about. Well, I hope that buzz translates to more sales, then. I don't hate the show, but that's because I barely remember anything about it after watching. Want to know something? After watching ep1, I wanted to write, "For a music anime, there sure was a lack of BGM." I had to rewatch just to hear, yes, it does have BGM. Even now, I can't remember any of its BGM melodies. And I still want to know what are their intentions with the new bands while the current one is still active. Location: United States of A.
I've seen the first couple of episodes of this show and am considering just waiting until it's done to watch them all in a day or so. I preferred Haikyu/sports anime that way, and feeling a bit like the music genre suits me similarly. Might read the manga after. What do you guys, who read/are reading it, think of it? Send a private message to nicky. Find More Posts by nicky. Episode 9 was a largely nice lighthearted episode with some good comedy, some good warm moments, and a decent dash of drama. But teasing at showing other major bands performing, only to have that almost entirely done off-screen... man, I really wonder about that creative decision this far into BanG Dream. I still like this show, and I really like its major characters, but the show's slow methodical pacing is a real gamble, here in 2017. 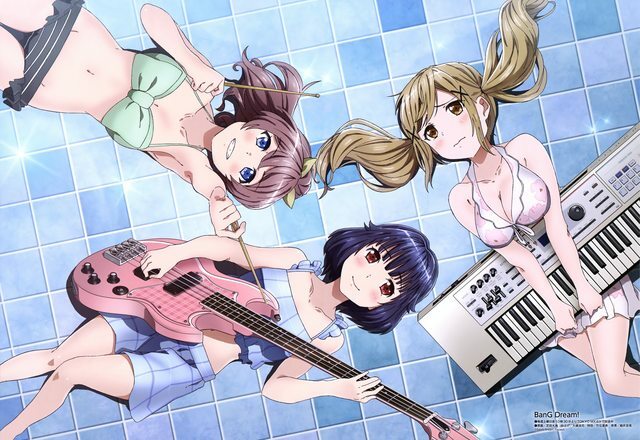 BanG Dream is going to be an interesting test of whether or not a modern rock band/idol anime show can get away with slow methodical pacing (and very delayed gratification). BanG Dream seems like it's a very under-watched anime this season. I more than welcome this slow approach to storytelling. It gives time for better characterization and allows the drama to slowly build up. It's the kind of pacing that seems to have gone the way of the dodo after the great crash of 2008 and I for one am glad to see it return. Sadly I think your fears may be merited and most of the fandom will fail to appreciate the slower pacing and miss the good story behind it. Why did the show start late? That appears to be the major issue this show had to gaining traction in the first place. 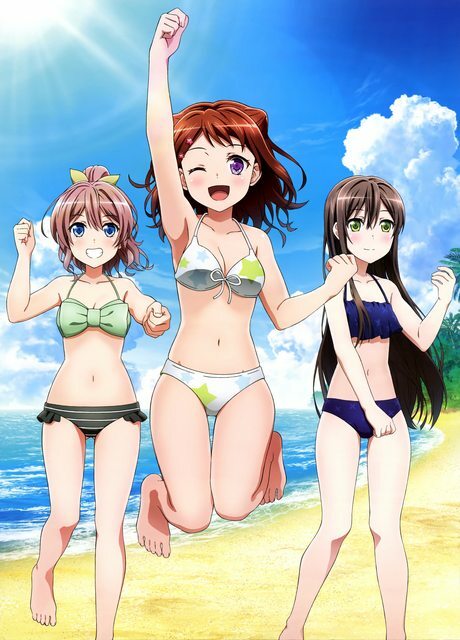 The whole of BanG Dream is written as if it was meant to be a two cour anime, with it's fairly gradual and careful buildup. I suspect the rather familiar beats at the start of the story all the way up to Kasumi's recruitment of Arisa might have turned away a good chunk of the International audience who did watch this show. But if TripleR's hypothesis that many International anime fans are turned off by slow methodical pacing and build up is true, that suggest that the only way shows can satisfy the "three episode rule" (that alas dominates the current non-Japanese anime fanbase) is basically to completely dispense with recruitment and start the story off in Media res. This approach has its downsides. I'm not sure though whether the same trends exist in Japan. Bang Dream' late start didn't do it favors outside Japan either. By that point, I think the SOL and CDCGT crowd already more or less made their choice of what shows to watch (and this is a CDCGT saturated season), while those looking for Music anime possibly had shows like Fuuka locked in. As a result, BanG Dream more or less was utterly ignored, and I suspect that a good number of the small viewer base it initially had concluded the show was a Poor-man's K-on or LL clone and walked away before the story really got going. If the show cannot win the audience that watches Love Live, then it's effectively dead on arrival. Here's a projection for Winter 2017. The current estimate seems to be 3.4k - which is not a complete disaster, unlike poor Flip Flappers. But those aren't good figures either. Do we have numbers on how well their songs and live events sold? They must have had some indication that there was enough interest to be worth investing in an anime at this time. Or perhaps they were gambling like LL. By 2012, when it was the same age as BD now, Muse had released all their animated singles. All they had left after this point was songs and lives. Without the anime reigniting interest, the brand would have just faded away. Was BD headed in the same direction even faster? ^ amazing photos. where are they from? @TheEroKing Thanks a lot for those two excellent photos. I'm still thinking some on the meta/sales discussion, but here's some good news - I'm eagerly looking forward to Episode 10! Hopefully there's enough viewers that feel like I do in order to make this show a decent success at least, even if not a hit anime. Wait, you're selling BanG Dream? You mean buying it? I might! On DVD/Blu-Ray. Or I might get a Bang Dream figurine at some point. Oh, I thought that you were mentioning your own sales discussion or business. That's cool though! Glad you're liking it so far. Which character are you thinking of for your figure?